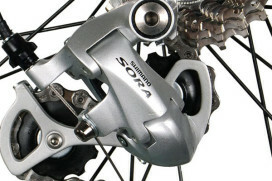 Undoubtedly, Shimano is by far the largest company in the bicycle business. It is surprisingly however that Shimano also appears to be the biggest supplier of sports equipment in the world. OSAKA, Japan – Undoubtedly, Shimano is by far the largest company in the bicycle business. It is surprisingly however that Shimano also appears to be the biggest supplier of sports equipment in the world. In wholesale value the Japan based manufacturer who became leading in its market with bicycle derailleur’s, chain rings and other components outnumbers sports powerhouses like Nike and Adidas. According to a sports market survey by trade journal ‘Sporting Goods Intelligence’ Shimano generated a wholesale turnover of USD 2,779 million in 2011, followed by Jarden with a turnover of USD 2,772 million and Amer Sports with USD 1,950 million. Adidas Group is number four on the list and Nike number seven. The bicycle industry is anyhow well represented in the top of the sporting goods industry. Besides Shimano also other well known names are mentioned in the list of the 30 biggest sport equipment companies. The 5th biggest company on the list is Giant with a turnover of USD 1,395 million, Trek USA is 8th with a turnover of USD 1,004 million, Accell Group 12th with a turnover of USD 874 million and Dorel Industries 13th with a turnover of USD 862 million.